Choose from an extensive menu of meals and snacks. 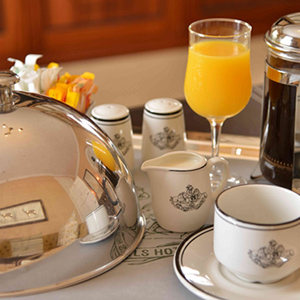 All guests have access to an extensive choice of snacks and meals from the room service menu. Our staff are dedicated to meeting any special requirements, giving a five-star service that is intentionally aimed to leave every guest feeling like royalty.